When an alchemical work gone wrong kills a famous artist in the Tate Modern, Isa Floris, a photographer, who witnessed the death from Stonehenge, stumbles on a twenty- year-old plot to control a priceless treasure — the Earth and its energies. From London to Portugal, across the Italian Alps to Venice, Isa, hunter and hunted, races against time through the shadowy worlds of ancient powers and the global elite in a desperate bid to prevent the coming destruction from taking place… only to discover that to stop the destruction she must die. 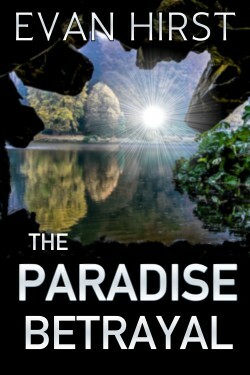 “The Paradise Betrayal” is a suspense-filled page-turning conspiracy thriller where the 21st century and ancient supernatural powers meet head on.